New BAZ-6402 towed 5P85TM/TE2 TEL design common to S-400 and S-300PMU2 (© 2010, Yevgeniy Yerokhin, Missiles.ru). 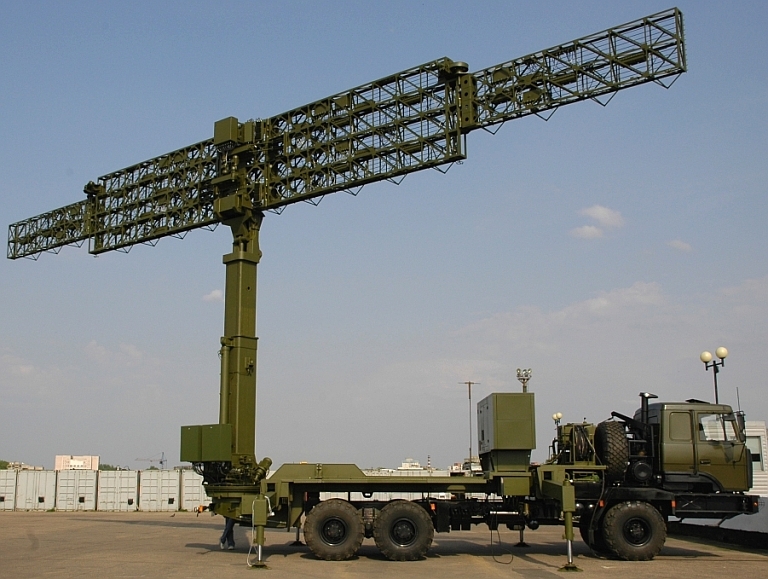 The subject of Air Defence System Vehicles, examples being Transporter Erector Launcher and Radar (TELAR), Transporter Erector Launcher (TEL) and TransLoader (TL) vehicles, or radar vehicles, receives far less attention in contemporary Western defence analysis than it merits. 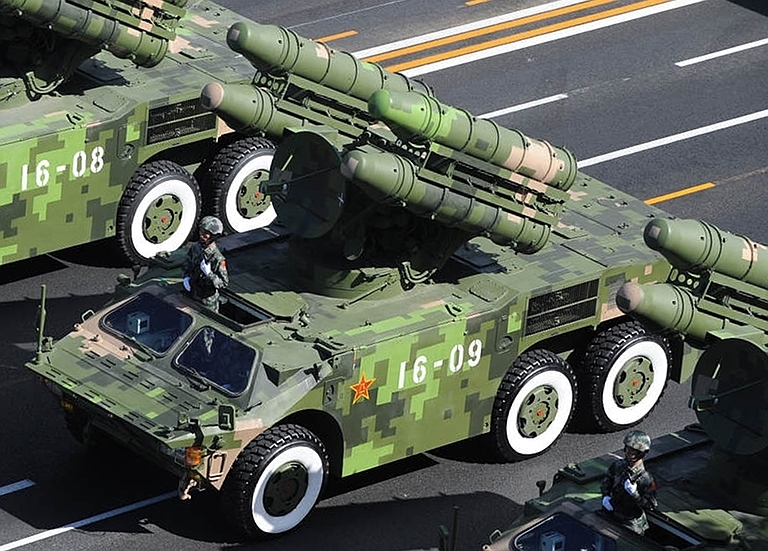 This is particularly unfortunate given the rapid growth in the mobility of Russian and PLA IADS elements over the last decade, and the introduction of a new generation of wheeled and hardened vehicles. We are observing a deep transformation in the manner of IADS deployment with commensurate improvements in IADS survivability. Perhaps the most famous quote by Generaloberst Heinz Wilhelm ‘Schnelle Heinz’ Guderian is: “Der Motor des Panzers ist ebenso seine Waffe wie die Kanone” i.e. “The engine of a tank is as much a weapon as the cannon”. The corollary of Guderian's saying is simply that “the mobility of a SAM, SPAAG or SPAAGM system is as important as the lethality of its missile or gun system”. Mobility matters for two reasons, the first being battlespace mobility or the ability of the system to “hide, shoot and scoot” evading defence suppression weapons, and the second being the system's deployability or ability to redeploy locally, across a theatre, or between theatres. Unlike Integrated Air Defence Systems (IADS) of the past which relied heavily on fixed communications landlines, or fixed microwave repeater links, modern systems are linked by radiofrequency, typically microwave or VHF/UHF, datalinks or indeed networks. The principal determinant of the system's mobility and deployability is then the design of the vehicles carrying the system. 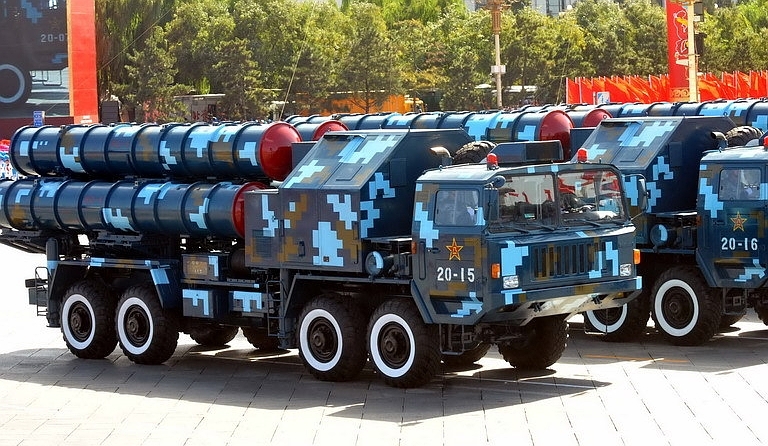 Broadly air defence weapons can be divided into fixed, semi-mobile, and mobile systems. Fixed systems are typically installed on concrete pads or other hardened or semihardened structures. This strategy of air defence weapon deployment is largely extinct due to the lethality of anti-radiation missiles and other weapons deployed by SEAD/DEAD tasked combat aircraft. Semi-mobile systems are typically moved by road, with launchers and other components carried by trailers, or built as trailers. Such systems will take between 30 minutes and several hours to deploy or stow, and are characteristic of 1960s technology Soviet PVO weapons. Like fixed systems, their survivability has proven to be poor, as evidenced by losses in Vietnam, the Middle East, Operation Desert Storm and Operation Allied Force. Nevertheless, the large number of legacy Soviet systems in use indicates that such weapons will still be encountered. Fully mobile systems may be road mobile, or off-road mobile, the former using wheeled vehicles, the latter wheeled or tracked vehicles. In general tracked vehicles have better survivability than wheeled vehicles against the full range of air delivered weapons, and land force weapons. In general tracked vehicles provide by far the best off road mobility, due to the low surface loading of tracks, the ability to perform pivot turns, and the ability to scale obstacles and cross ditches. The drawbacks of tracked vehicles are often considerably higher operating costs, longer time to repair a broken track compared to a punctured wheel, and usually lower roadspeed. Often tracked vehicles will be heavier than their wheeled counterparts, limiting options in airlift. Where off road mobility is not regarded to be critical, military trucks and tow tractors in the 10 to 20 tonne class have been used most frequently for this purpose, often towing the air defence weapon in a semitrailer or trailer arrangement. The compromise between tracked and standard truck based systems are specialised high off road mobility vehicles purposed designed for the carriage of missiles. The 8 x 8 and 6 x 6 vehicles produced by MAZ/MZKT over the last five decades, and the contemporary BZKT built replacements, represent the best examples. 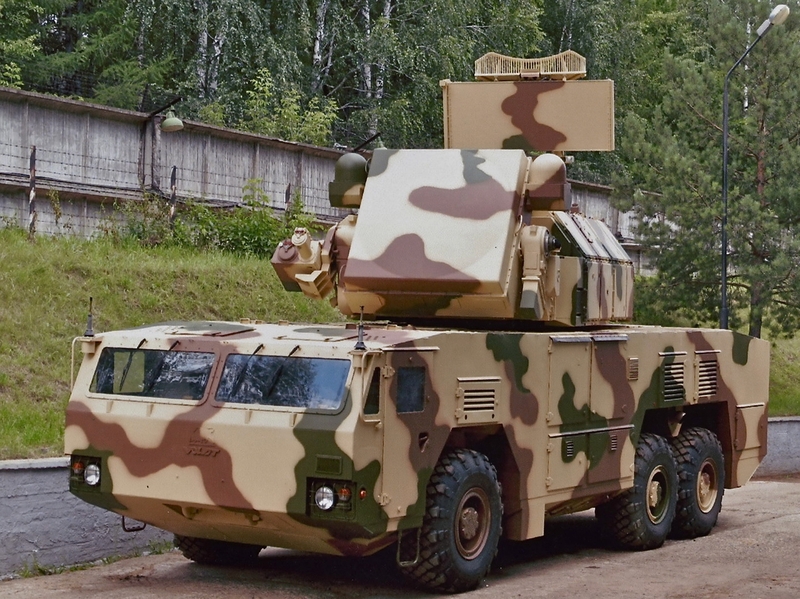 The MAZ-543 family of 8 x 8 heavy trucks has been used to carry ballistic missiles, ground launched strategic cruise missiles, antiship cruise missiles, air defence gun systems, air defence missile systems, as well as the Soviet High Energy Laser Directed Energy Weapon system. It has also been used to carry or tow a number of different radar systems, and associated mast systems. These Technical Reports are intended to provide a basic reference covering the most widely used vehicles in this application. Highly mobile SAM systems and supporting assets, such as radars, operated to a disciplined “hide, shoot and scoot” doctrine by well trained and proficient crews will present genuine challenges in SEAD and DEAD operations. In a well designed “hide, shoot and scoot” scheme, missile batteries are dispersed and usually camouflaged, and follow a highly disciplined EMCON protocol. The battery engagement radar will only emit if a target enters its engagement envelope, and emissions will be constrained to the target alone, the intent being to minimise opportunities for detection by enemy ISR assets or SEAD/DEAD tasked aircraft. In this regime of operation, the engagement radar for the missile battery is cued by other assets to point at the target, missile TELs are put on standby ready to shoot by datalink commands, upon which the radar initiates search and track to prosecute the missile engagement. Time of flight for a modern hypersonic or fast supersonic SAM might be between tens of seconds or a small number of minutes, the latter for a very long range shot on a climb-cruise-dive or ballistic SAM trajectory. Whether the missiles hit or miss the target, the battery has disclosed its location by emitting, so once the missile engagement has finished, the battery must “scoot” to a new hide to prepare and then wait for the next engagement. The time to stow all components of the battery and initiate a move varies, but in modern Russian systems the cited stow time, during which hydraulic actuators fold and stow the antennas, lower the TEL launch gantries, and retract the outriggers, is typically 5 minutes or less. Modern acquisition radars, especially longer ranging types, may take longer due to more complex stow operations with folding antenna systems, and some retrofitted SAM TELs may also take longer. Once the battery components are stowed, the convoy departs the location as quickly as possible, to relocate. 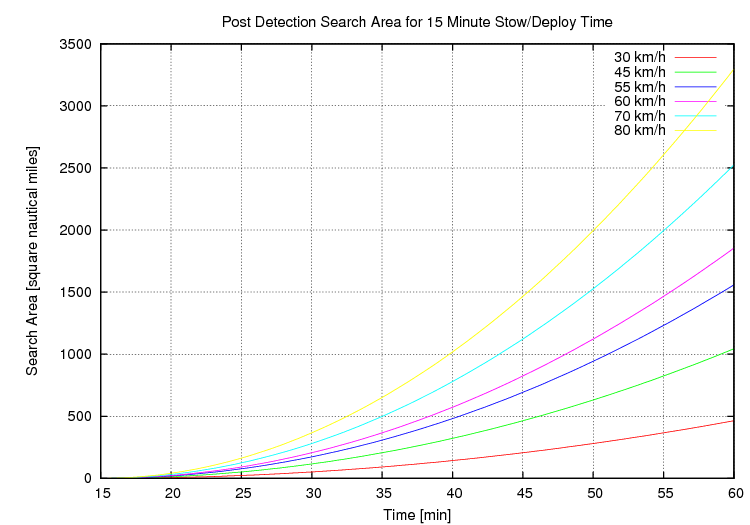 Transit speeds between locations depend on the local terrain and road environment, and the type of vehicles employed by the battery. Where terrain is heavily forested, and unsealed dirt tracks or open flat ground is used to transit, transit speeds may be low, as vehicles are mostly limited in movements to specific paths and vehicle speed itself may not exceed 30 to 50 km/h due to road condition. In developed areas where sealed roads with good load bearing capability are near to the battery hides, transit speeds will be limited by the vehicles employed, and any other road traffic which be occupying the carriageway. Under these conditions, wheeled vehicles may sustain their full dash speed, which may be up to 80 km/h (~50 MPH). 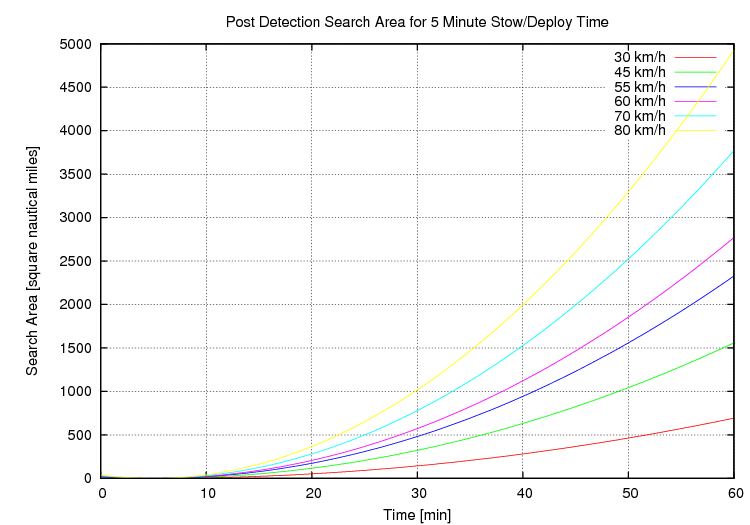 Where A is the search area, tstart is the time when the battery initiated its move, tstop is the time at which the search is performed, and v(t)transit is the time function of the radial component of the vehicle's transit velocity. The worst case is where the missile battery can choose an arbitrary direction to egress in, and do so along a linear radial path from the initial site. This problem is analogous to that of searching for a submerged submarine following a broken initial contact - as time elapses, the area expands with the square of target velocity and time. While in practice local geography, especially in complex terrain, and road availability will constrain the actual available paths the missile battery can use, the expression describing the worst case scenario illustrates the problem confronted by the SEAD/DEAD force. Fast transit speeds and suitable terrain could see large areas within which the missile battery may be hiding. 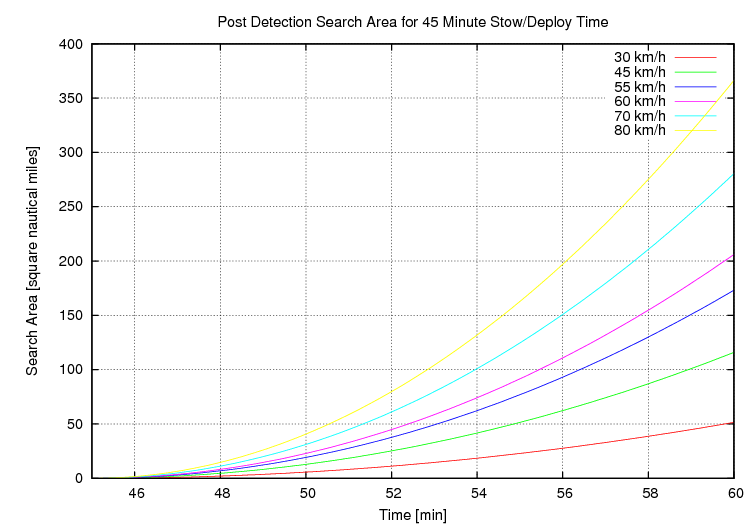 The following plots depict the worst case scenario where optimal transit conditions exist, for battery stow times of 45, 15 and 5 minutes, and vehicle transit speeds between 30 km/h and 80 km/h. A battery carried by vehicles capable of sustaining 70 - 80 km/h roadspeed could be anywhere within an area of 3,500 - 5,000 square nautical miles given a 5 minute battery stow time. The widely held belief that battery mobility is not a major impediment to SEAD/DEAD operations is not supportable by any material evidence. Table 1 illustrates transit speed performance for a range of Russian vehicle types employed to carry air defence systems. While many Cold War era systems were limited in sustained transit speeds to 45.0 km/h, more recent wheeled designs are mostly built for much faster sustained road speeds. The systematic design of all Russian built IADS components for a “hide, shoot and scoot” regime of operations is resulting in pervasive changes to the character of future IADS, producing significant long term pressure to engage a SAM battery on initial contact. This in turn requires SEAD/DEAD aircraft with the survivability to loiter in contested airspace, or ISR assets with equal survivability. Platforms with lower survivability will suffer unsustainable loss rates in battle with high mobility modern IADS. 9S32 Grill Pan deployed on MT-T series tracked vehicle (NIEMI image). 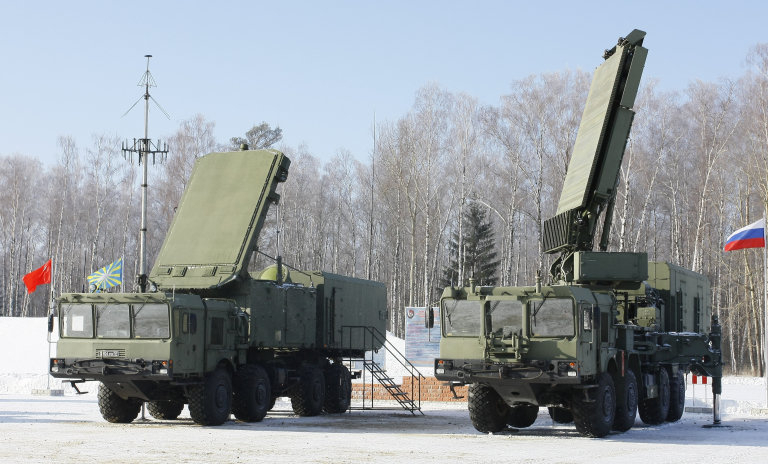 S-400 Triumf / SA-21 battery 92N6 Grave Stone and 96L6 radars deployed on high mobility MZKT-7930 vehicles, evolved from the MAZ-543 Uragan Scud TEL chassis. 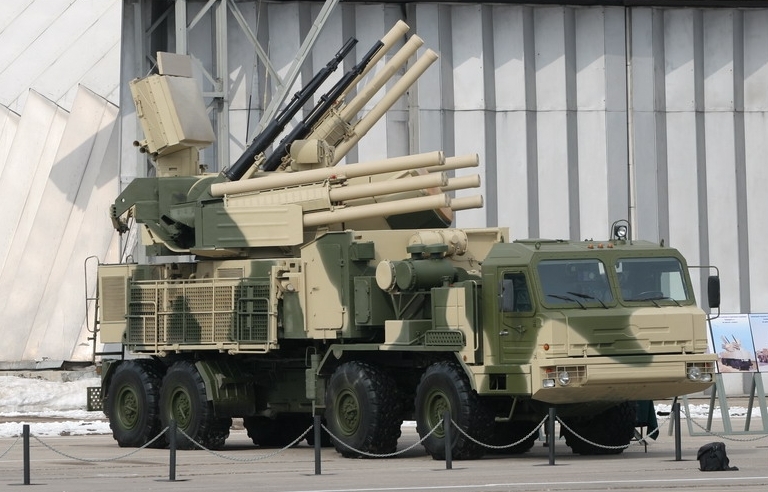 The LEMZ 96L6E is common to the late production S-300PMU2 Favorit / SA-20B Gargoyle exported to the PRC (© 2010, Yevgeniy Yerokhin, Missiles.ru). 9K317E Buk M2E / MZKT-6922 / SA-17 Grizzly battery component models at Zhuhai 2010 (© 2010 Air Power Australia via Zhenguan Studio). 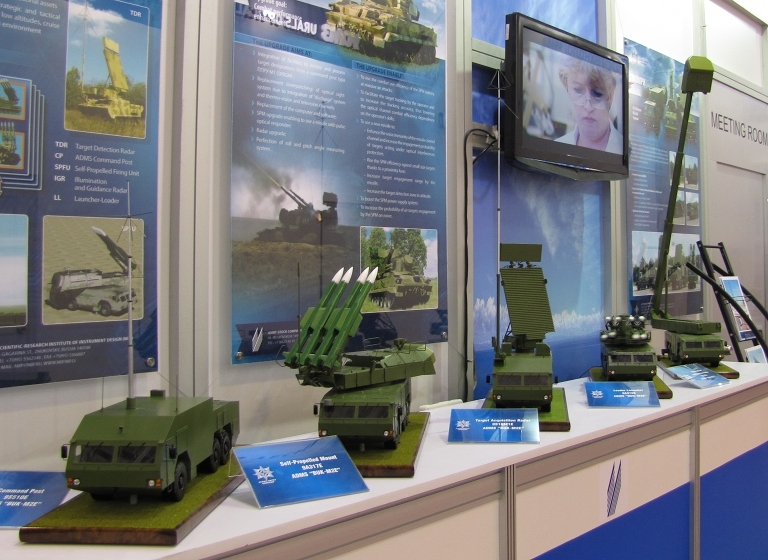 Kupol 9K332 Tor M2E / SA-15 Gauntlet point defence and Counter-PGM system at MAKS 2007. This new variant is hosted on the new MZKT-6922 6 x 6 TLAR/TELAR chassis, common the new 9K317 Buk M2/M2E / SA-17 Grizzly (NIEMI image). A VHF-band high mobility Vostok E demonstrator deployed. The folding, elevating and telescoping antenna can stow or deploy in less than 10 minutes (KB Radar). 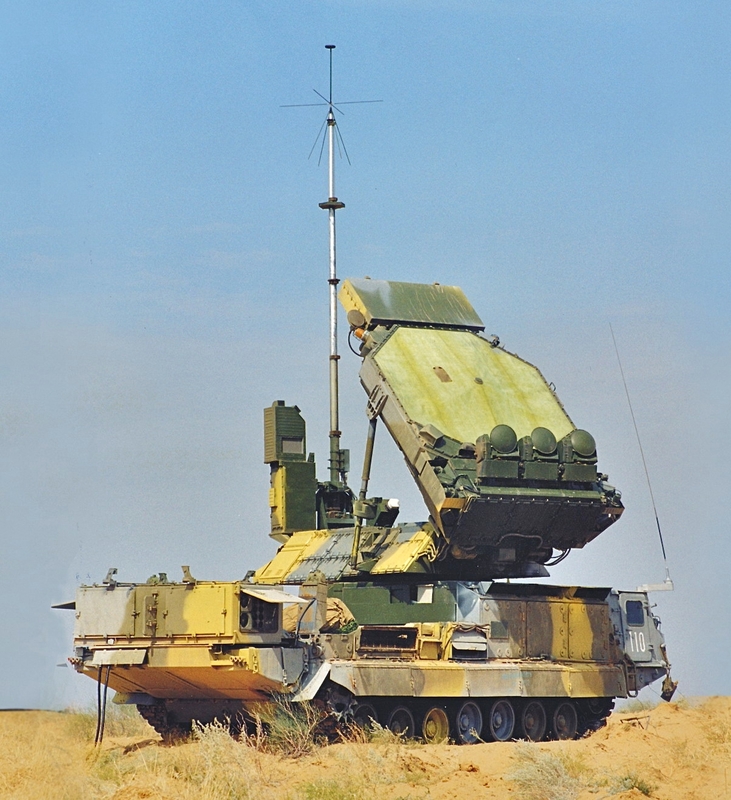 The L-band JY-29/Type 120 (depicted), YLC-18, JYL-1 and YL-11B are typical of the new generation of PLA self-propelled tactical 3D acquisition radars, designed to support a range of SAM systems. Mostly they are carried on licence built Mercedes-Benz chassis, and often employ complex elevating mast systems (© 2009, Bradley Huang). 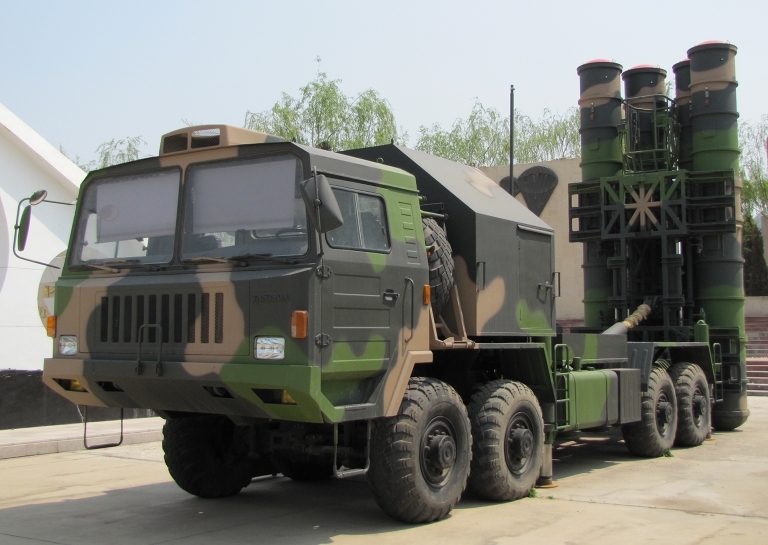 HQ-9 TEL using the Taian TAS-5380 chassis (via Chinese Internet). Early TAS5380 TEL on display at Datangshan. The design is modelled on the MAZ-543/7910 series (Zhenguan Studio, © 2010 Air Power Australia). 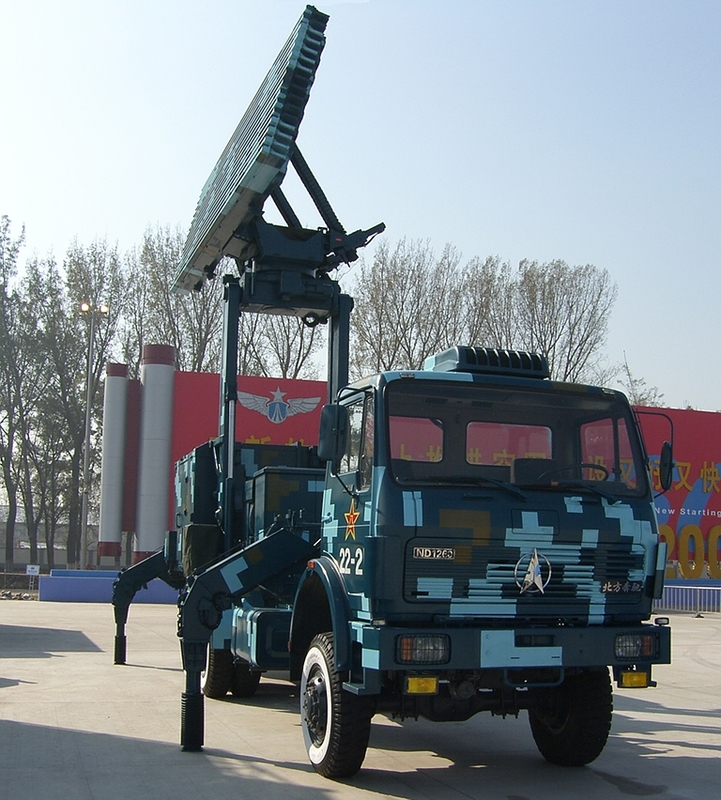 New design HQ-7B/FM-90 TELAR on parade in 2009 (via Chinese Internet).